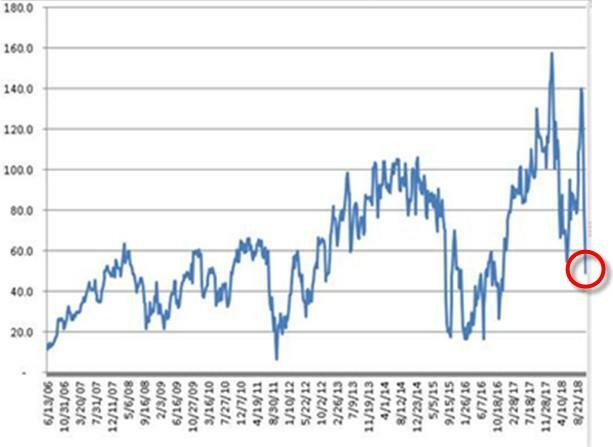 One week ago, Nomura's cross-asset expert Charlie McElligott observed that following the market's sudden surge from its October lows, it appeared as if there was a source of "short gamma", forced to levitate risk assets. This morning, Charlie is back with his "elections, schmelections" post-mortem, in which he writes that last night's events - which were largely a distraction for traders - notwithstanding, he continues to expect a "near-term tactical pain-trade HIGHER for U.S. Equities, almost entirely due to the past month’s gashing of “market” exposure from the fundamental community throughout the performance drawdown," which forced “net-down” / “gross-down” / “beta-down” behavior, and which accelerated particularly over the final week of October. 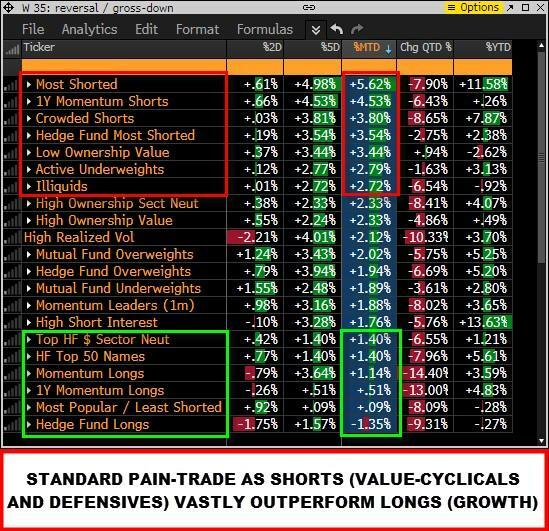 To underscore this point, he observes that since the start of October, his hedge fund L/S model has seen at least 9 sessions of greater than 50bps of underperformance vs SPX out of a total of 27 trading days, confirming that for hedge funds the latest market whipsaw, first sharply lower then higher, has been pure torture. And it's not “just” a Hedge/Leveraged Fund struggle: overall Asset Managers have sold down -$91B between SPX-, NDX- and Russell- futures over the past month, shown in the charts below, amid a near record deleveraging/degrossing. This is the same "risk off" response that led pensions funds to buy a record amount of STRIPs in October as they panic-sold risk assets, as we observed last night. McEllgiott then picks up on his point from last week, and writes that in the context of this lagging underperformance by active managers, the "fundamental" active equities universe "has essentially become a source of synthetic “short gamma” in the market, as with any rally in stocks, said performance-burned funds effectively “get short-er” the higher Equities travel, in-turn contributing to these violent bear-market rallies on “up” days, with funds grabbing exposure “dynamically hedging” futures on said move." As a result, he thinks it is likely that today we will pile-on "melt-up fuel" as the election hedges are unwound thereafter, and notes that the 2800 strike still matters the most from a gamma hedging perspective, i.e., the market will likely be chased higher for another 20 or so ES points. 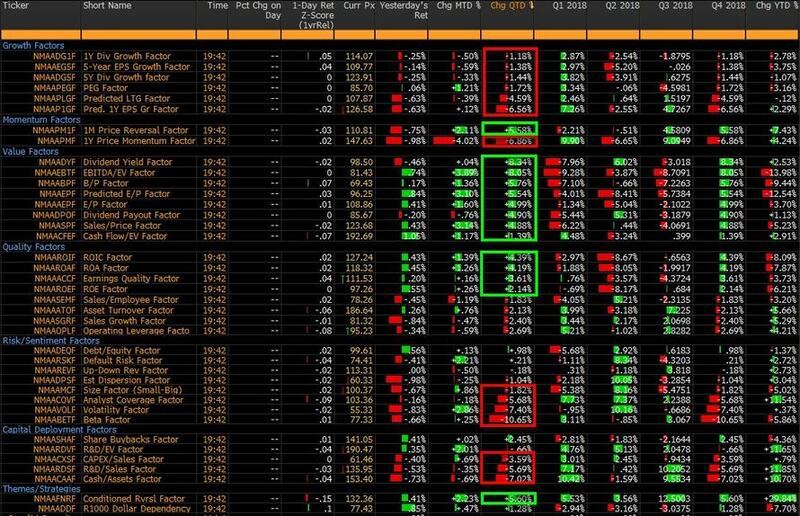 What is most important according to the Nomura strategist, however, is that the S&P has shown us that throughout the 2.5% MTD rally in minis that the market can “work” with “Value” leading—4 of the S&Ps top 5 sectors so far in November are Materials, Industrials, Energy and Financials. And even though Charlie expects the resumption of TSY curve flattening - "via the ongoing deficit-funding “supply shock” story and market slowly again pricing-in additional Fed hikes through 2019" - to take some wind out of the “Value” sails and instead provide some relief for “Growth”, this will again allow “all parts” of the market to participate as exposure is rebuilt into year-end. In short, "expect a broad based rally over the next month, as it is once again the course of "max pain."